Arrive at your destination cool, calm and collected. 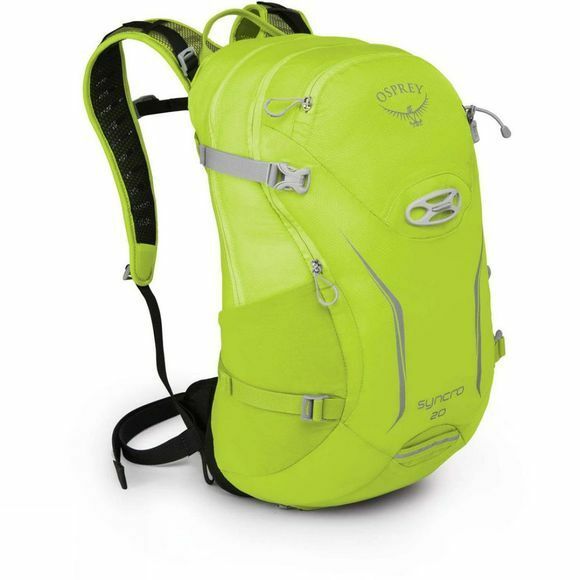 The Syncro 20 Rucksack features Osprey's AirSpeed back system and a LightWire frame, taking ventilation to the next level. The pack also has a ventilated BioStretch harness further increasing airflow meaning that even on the hottest rides, you'll enjoy incredible ventilation and load stability. The streamlined profile of the pack and LidLock bike helmet attachment makes it perfect for riders looking for an efficient agile solution to carry their gear. The Syncro 20 has the greatest capacity in the series, with plenty of room for all your biking essentials. Featuring Stretch mesh side pockets with InsideOut compression provide a great place to store that extra tube or repair kit and the scratch-free electronics pocket allows you to carry your phone or GPS safely. 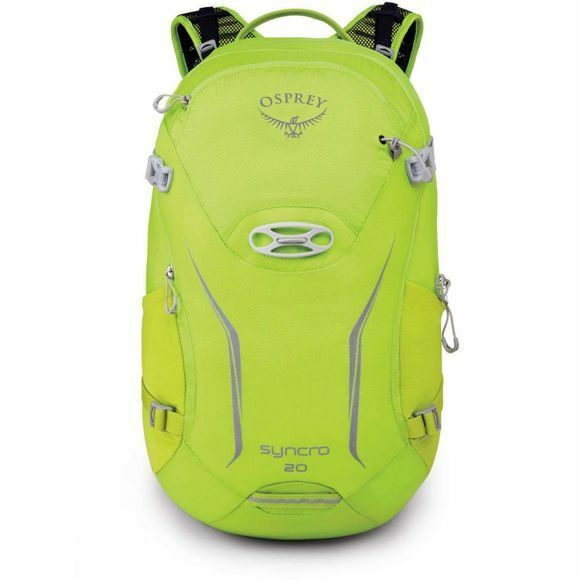 The Syncro is also compatible with Osprey's Hydraulics reservoirs and features sternum strap buckle with magnet. New heightened reflective graphics, blinker light attachment and integrated 'High-Vis' raincover will boost your visibility when riding on trail or road.